Certain types of tumors preferentially seek out and colonize specific organs through metastasis. New research shows that tumor cells send signals throughout the body to prepare these organs for the arrival of metastatic cells. The signals are transmitted through microscopic bubble-like compartments known as exosomes, which set the stage for cancer cells to take root and thrive. Certain types of tumor cells preferentially seek out and colonize specific organs. 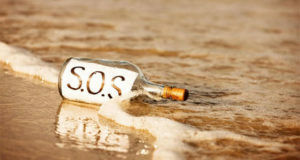 Research shows they send signals in advance to prepare the organs. 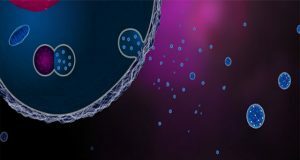 Microscopic compartments called exosomes carry the signals. Without this advance work, cancer cells won’t take root and grow in distant sites. Cancer becomes especially lethal when it metastasizes from a primary tumor to other organs. 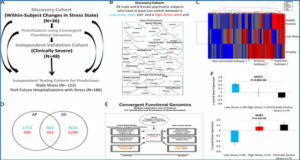 But this spread does not occur randomly — within a population of cancer cells, certain subgroups preferentially seek out and colonize specific organs. 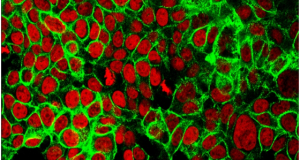 New research from scientists at Memorial Sloan Kettering and Weill Cornell Medical College has found that tumor cells send signals throughout the body to prepare specific organs for the arrival of metastatic cells. These signals are transmitted through small vesicles — microscopic bubble-like compartments — known as exosomes, which act as location scouts to set the stage at distant sites where cancer cells can take root and thrive. 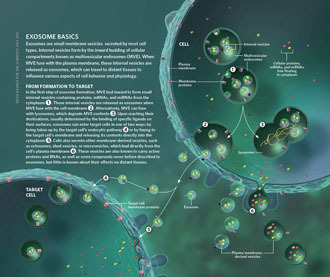 After being secreted by cancer cells, the exosomes circulate throughout the body and are taken up by other cells. At particular metastatic sites, they prime what is called the microenvironment — noncancerous cells, molecules, and blood vessels that will eventually surround the tumor — to be nurturing to cancer cells after they arrive. “If the cancer cells are seeds, then the soil of the microenvironment needs to be appropriately fertilized for the seeds to grow,” says MSK medical oncologist Jacqueline Bromberg, who has led pioneering research into exosomes in collaboration with David Lyden of Weill-Cornell Medical College. Earlier research had suggested that exosomes play a role in metastasis, but the details were unclear. 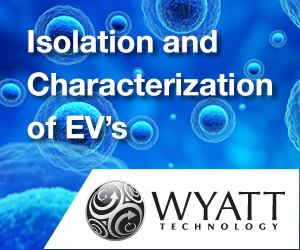 While exosomes can be taken up by a wide variety of cells, in most cases they are not retained, nor do they transmit signals to change their surroundings. In the new study, led by Drs. 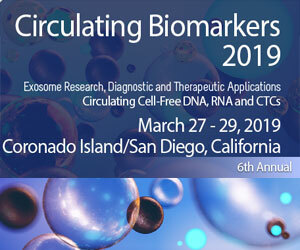 Bromberg and Lyden and published online by the journal Nature, the researchers sought to learn whether certain molecules in the exosomes were “addressing” them to specific organs, which might shed light on why tumor cells later preferentially go to those same organs. 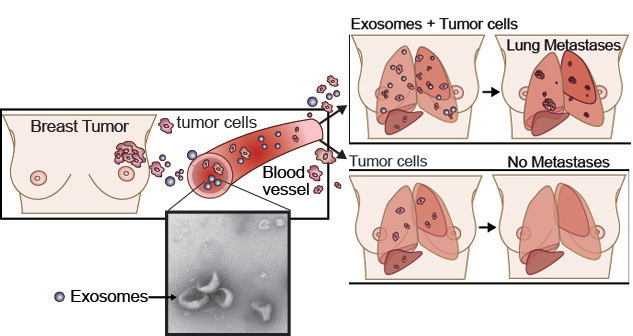 Exosomes are shed by tumor cells and travel throughout the body to metastatic sites, such as the lung, to prepare them to be nurturing to cancer cells that spread there (top right). If exosomes do not prepare the metastatic site, any cancer cells that may spread there will not survive (bottom right). They discovered that exosomes display a variety of receptor proteins called integrins on their surface, and that the integrin type determines which organ the exosome will target. For example, an integrin called αvΒ5 directs exosomes to the liver, while the integrin α6Β4 causes them to home in on the lung. The specific integrin makes it easier for the exosome to be taken in and prime a particular organ because the integrin binds to other proteins, called adhesion molecules, amid the organ’s cells. 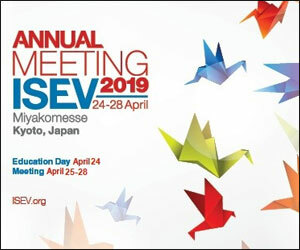 The researchers also showed that when they blocked the expression of αvΒ5 or α6Β4 in cancer cells, the exosomes those cells shed were no longer able to educate their respective target organs — the liver and lung. In experiments with mice, cancer cells that usually take root and grow in these organs could not do so without the exosomes carrying out their advance work.Another mouse study showed the exosomes can even redirect cancer cells to spread to organs they don’t usually target, further demonstrating their powerful effect. “Remarkably, if we treated mice with lung-targeting exosomes, we could redirect breast cancer cells that would normally spread to the bone, causing them to spread to the lungs instead,” Dr. Bromberg says. 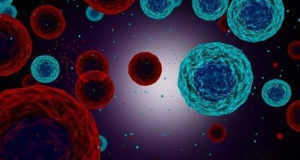 The researchers also found an important clue as to how the exosomes condition the target organs to be welcoming to cancer cells: They appear to stimulate the cells in the microenvironment to produce a protein group called S100, which are already known to precondition host cells for metastasis. 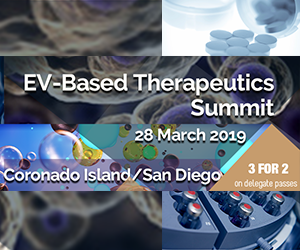 “We think the exosome integrins not only help with adhesion to the microenvironment but also trigger key signaling pathways and inflammatory responses in target cells, resulting in the education of that organ to permit the growth of metastatic cells,” Dr. Bromberg explains. She says that the main short-term practical application of these findings might be to analyze exosomes, and the expression of integrins on their surface, to predict where a patient’s tumor is most likely to spread. In the longer term, having earlier knowledge about the likely site of metastasis could someday help clinicians devise focused treatments that prevent the emergence of metastases at these sites.